Remotely Access Amazon EC2 Instances By Name | Life, The Universe and ... Everything! Amazon AWS EC2 instances change their public IP address each time you stop them. If you have many EC2 instances and don't assign elastic IPs to them, having to lookup their IP address each time you want to access them can be irritating. 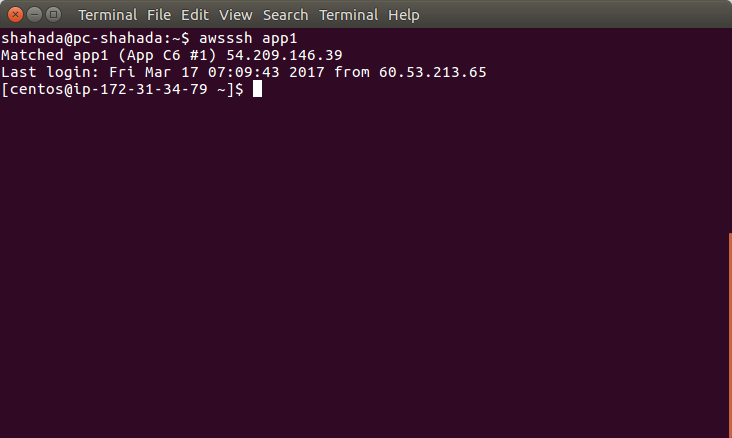 So I wrote this little ssh wrapper script that lets you ssh to amazon AWS EC2 instances by matching their instance name instead. You can download the script from here: http://home.abubakar.net/gitpub/?p=awsssh;a=tree (click on "raw"). There's a lot of other stuff you can automate via the API to ease management of many instances. See here for more details.